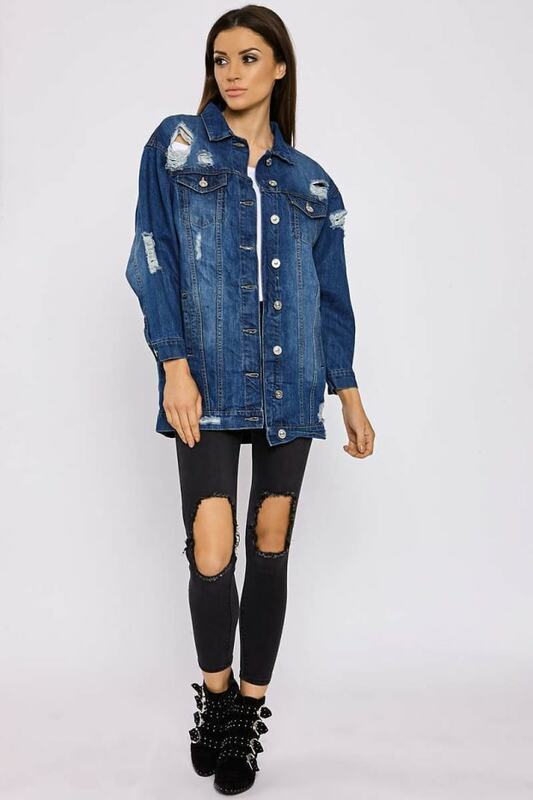 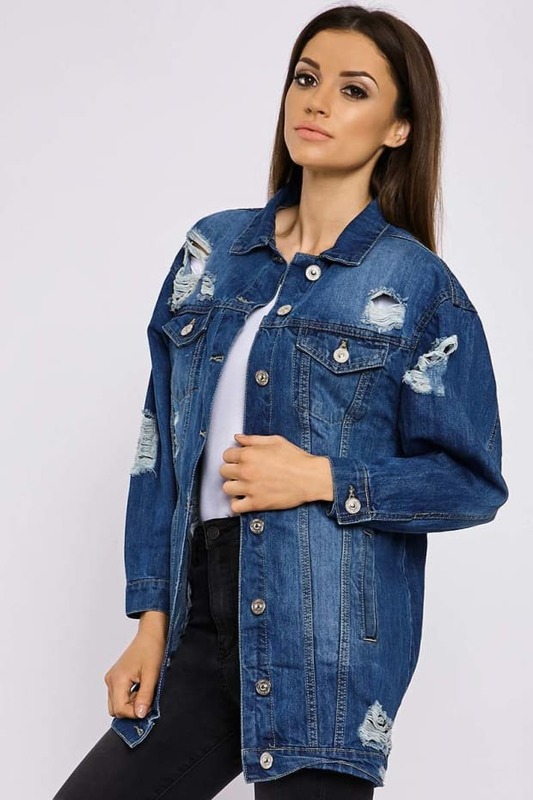 Distress to impress in this sass dark wash denim jacket. 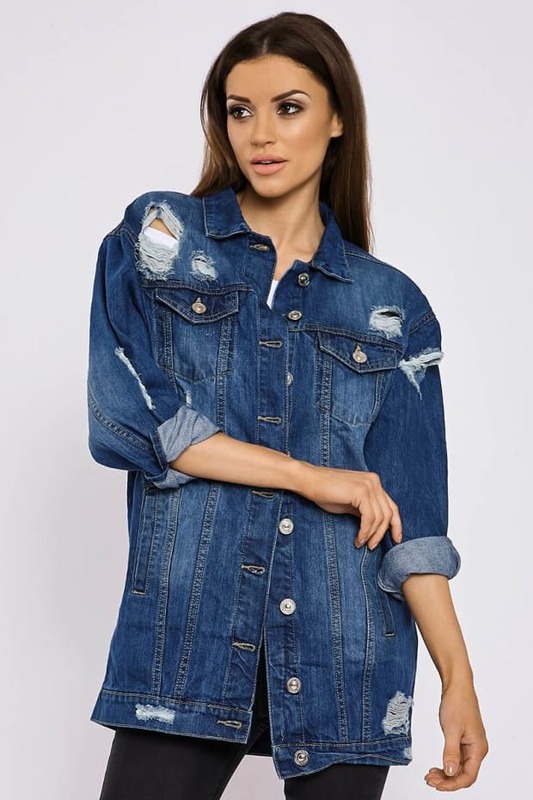 In a contemporary distressed design, with button front detailing and long sleeves, you need this in your wardrobe immediately! 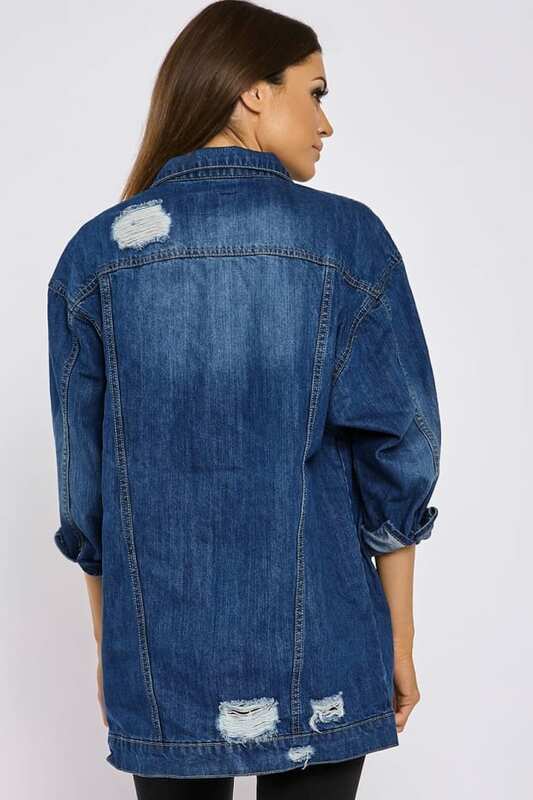 Go for a cool and casual look this season and go for a basic tee.